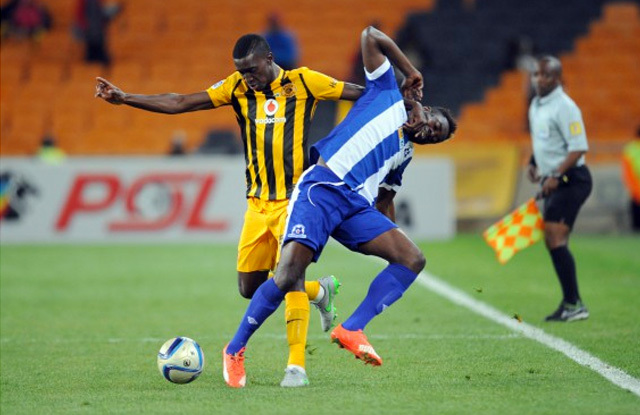 In a fixture which has provided some positive results in the past, Maritzburg United will be hoping to turn around their fortunes when they meet Kaizer Chiefs at the FNB Stadium on Saturday evening. United go in to the match on the back of a 3-1 defeat away to Polokwane City, having also had some tough battles on their hands in recent weeks with matches against Orlando Pirates (3-3) and Mamelodi Sundowns (2-3). It will be the second time that the Team of Choice are up against their former head coach, Steve Komphela, saw his AmaKhosi side drawing 1-1 with United in the first round fixture. While Chiefs are 10 points off the summit, hoping to make up lost ground while trying to defend their title, for Maritzburg it’s all about getting some winning momentum going and moving off the foot of the standings. The two clubs have met 19 times in the league since 2005/06, Chiefs with sevn wins, United five, and seven draws. Two of Maritzburg’s five wins were away from home. Both teams are hit by suspensions: Maritzburg are without Brian Onyango and Thamsanqa Mkhize, while Kaizer Chiefs pair Erick Mathoho and Reneilwe Letsholonyane must sit out this game. Chiefs’ line-up from their 2-0 win over Arrows: Pieterse, Moleko, Mathoho, Gordinho, Masilela, Katsande, Letsholonyane, Tshabalala, Maluleka (Twala 70’), Lebese (Parker 75’), Abraw (Gould 89’). Maritzburg’s line-up from their 3-1 loss to Polokwane: Verbauwhede, Teyise, Booysen, Onyango, Mogapi, Makaringe, Zulu (Mkhize 62'), Mekoa M (Maasdorp 83'), Lentjies, Mekoa D, Rusike.